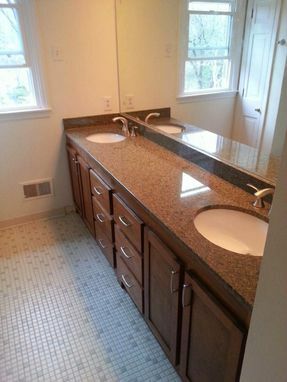 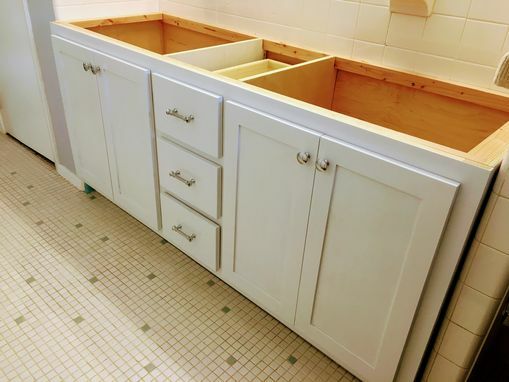 Pictured is a double bathroom vanity. Can be painted or stained. 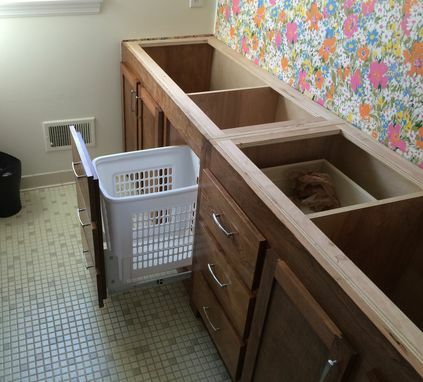 You choose size, style, combination of doors/drawers, etc.